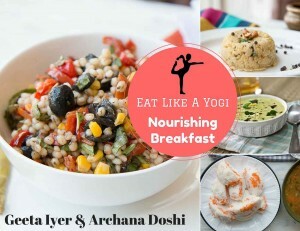 “Eat like a Yogi – Nourishing Breakfast” is for everyone — who believes in eating healthy and living healthy without pain and disease. This book, educates on healthy methods of cooking, sattvic, rajasic and tamasic food, precepts of yogic lifestyle, importance of eating nourishing breakfast, and benefits of eating light and early dinner. It features variety of tasty and nourishing breakfast recipes that are easy to make, easy to digest and light on the tummy. 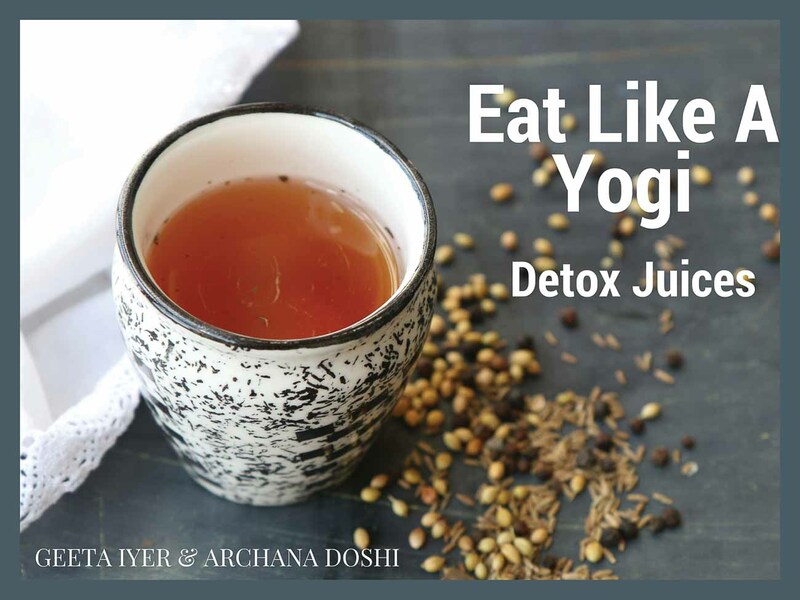 EAT LIKE A YOGI – DETOX JUICES – This e-book features 17 natural juices that refresh, purify, hydrate, revitalize, control ageing and boost stamina and immunity — enabling you to achieve weight loss, biological balance, vitality and well-being. The book is authored by Geeta Iyer, the renowned Yoga teacher and her daughter Archana Doshi, a renowned home chef who runs India’s top recipe & food website –Archana’s Kitchen. They share their knowledge on health and fitness, provide valuable information on yoga precepts, nutritional values and health benefits of Detox Juices. This is their first book on Eat like a Yogi e-book series. This is the only one of its kind that focuses on Yoga, as a basis for self-development and natural healing. 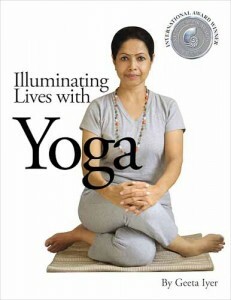 This book is useful for the beginners, experienced practitioners and yoga teachers. This book has over 324 color photographs with easy to follow step by step instructions, benefits, cautions and tips to ensure improvement with practice. It has all the essential information on asanas, pranayama, mudras, yogic diet and yogic healing. Yogic healing addresses 13 common health issues. 2 Comments on "Geeta’s E-Books"
Geeta ma, this book is short and crisp and honestly is good and very useful. I immediately recommended it to my friends and colleagues. I liked the way you detailed the health benefits, do’s and don’ts of each recipe. You have brought to light that detox juices are essential and good health is a combination of eating healthy, practicing key asanas and pranayama. I appreciate your mention of the yogic prayer before meals. Thank you Geeta ma for uploading this e book it is a valuable guidance for all of us.